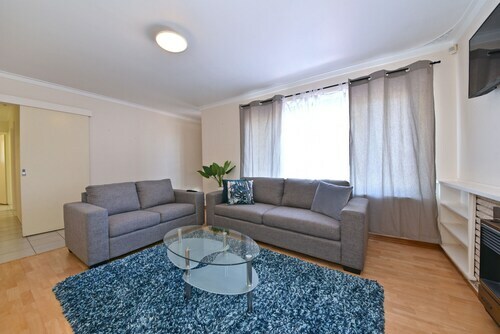 Situated in Belmont, this bed & breakfast is 1.5 mi (2.4 km) from Ascot Racecourse and within 6 mi (10 km) of Crown Perth and Optus Stadium. Nib Stadium and Royal Perth Hospital are also within 6 mi (10 km). 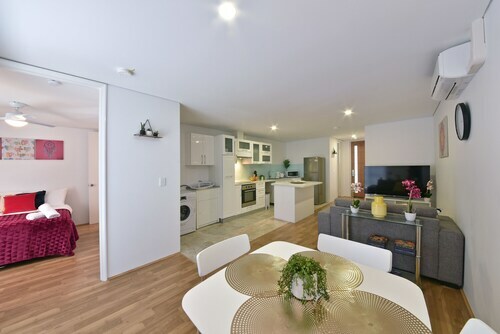 Situated near the airport, this apartment building is within 3 mi (5 km) of Ascot Racecourse, Crown Perth, and Optus Stadium. Belmont Racecourse is 2.7 mi (4.3 km) away. 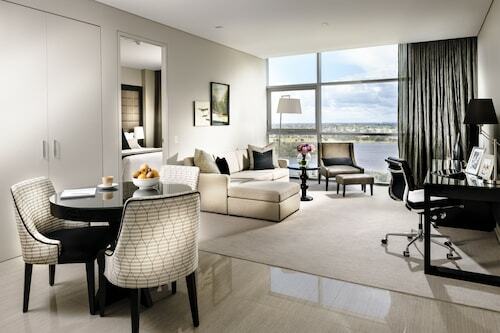 Situated in Belmont, this vacation home is within 3 mi (5 km) of Ascot Racecourse, Crown Perth, and Optus Stadium. Belmont Racecourse is 3 mi (4.9 km) away. 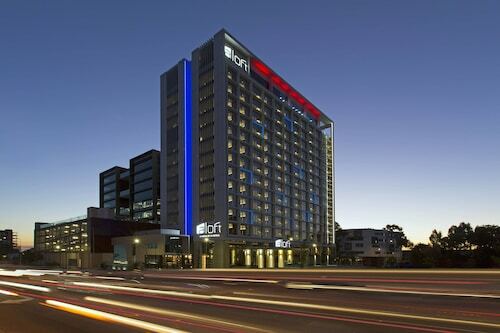 Keen for a trip to Western Australia and its capital, Perth? Be sure to look around the area of Belmont, situated 7 kilometres east of the city's downtown. Nobody's holiday in Perth is over without a day exploring the Kings Park and Botanic Garden and Swan Bells Belltower. On a clear day, appreciate some beautiful views from Outdoor Airport Viewing Platform. 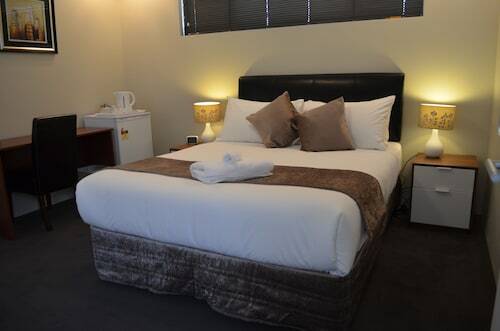 Check out the rates at the Best Western Plus Ascot Serviced Apartments and Comfort Inn Bel Eyre Perth to stay close by. If you're on the hunt for a pleasant green space to relax and breathe in the fresh air, head over to Burswood Park. 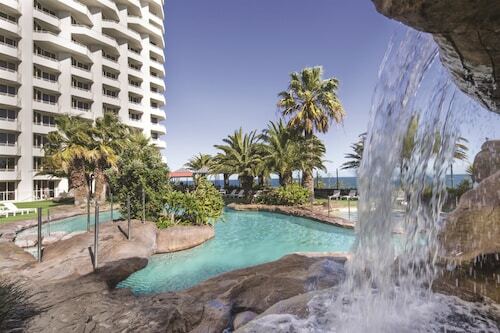 For this place, try the Assured Ascot Quays Apartment and Country Comfort Inter City Hotel Perth. Are you and your travelling companions dreaming about a holiday in Belmont? If you can spend a little more, it's worth taking a look at the rates at the Ellard Bed & Breakfast. Not your best self in the morning? You'll find a variety of enticing cafes in Belmont. A hot cup of coffee and cake at Miss Maud Belmont is the perfect way to get your day started. Sightseeing can certainly take it out of you. Fortunately, Belvidere Pizza serves up nourishing meals that will be sure to satisfy even the most ravenous of travellers. Before walking back to the hotel, why not swing by Belmont Tavern for a hard-earned drink? Both beer and wine drinkers will find plenty to like here. If you and your family can't locate the ideal Belmont hotel, check out the accommodations in Rivervale and Ascot. From accommodation to flights, car hire to activities, we're ready and waiting to make your Belmont dreams happen! How Much is a Hotel Room in Belmont? Hotels in Belmont start at AU$82 per night. Prices and availability subject to change. Additional terms may apply.